As Vic Fuentes and his band Pierce The Veil climbed the ladder to stardom, a valued friendship was torn to shreds. Feelings that were hidden were now coming through the surface, but instead, they showed in the form of resentment. Years passed by until Vic finally mustered up the courage to visit his old friend, Mary Lou, who now practically gags at the mere mention of his name. Audrey was tired of hearing about Pierce The Veil. Her friend talks about them all the time about how they're oh so amazing and all of that. Her friend drags Audrey to a concert of theirs for her birthday, and Audrey has to agree so she won't hurt her friend's feelings on her birthday. Will her thoughts on Pierce The Veil ever change? Will she even happen to fall in love with a certain band member? Warning: there is a Deathly Hallows spoiler for all of you who haven't got there yet in the Harry Potter series just a heads up. Also, there is some sarcasm. If you can't handle sarcasm, find something else to read. Kendall Bostwick. She suffered from her parents rage a lot more than her brother Kellin did- after all he was on tour. After being fed up of being abused and shouted at every night for being herself, she finally decides to run away on tour with her brother. 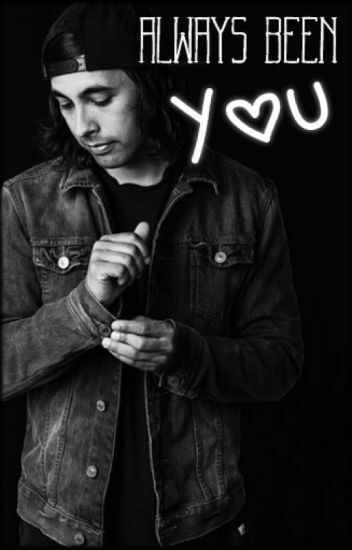 But when she crosses paths with Vic Fuentes, is his love enough to fix her? Or will her life go so down hill that she can't be fixed. Holly was just your average band obsessed girl. The only thing was, her family didn't like the way she acted, the way she dressed, and the music she listened to. When she runs into Pierce the Veil one night with her brother, what will be the effect of the four Mexicans on her life? Hadley Marie Hadaway has spent nearly nine years avoiding her best friend and boyfriend from high school after she left unexpected with nothing more than a note to say goodbye. She never forgot about the Fuentes Brothers; she misses her friendship with Mike and her relationship with Vic, but doesn't have the guts to see if she can find them. Mike and Vic still wonder what happened to their high school friend. When her best friend Sami drags her to a Pierce The Veil concert, will her past catch up with her, or will she be able to avoid it? Note: I do not own the songs by Pierce The Veil, the band Pierce the Veil, or any of the members of bands stated in this story. This is a story merely for the enjoyment of others and the enjoyment of being written. Mia's life seemed to be going well until it came to her anniversary  with her boyfriend, Matt, which flipped everything around. That day either became the best or the worst day of her life. Was it fate that pushed her to meet Vic who she just can't get out of her head? What happens when they start to develop feelings for eachother. Will they be able to get through without anymore heartbreak. On a sunny California morning in late November, flight DL1408 gets ready to start its journey to the beloved and cultural Tokyo, Japan. 180 passengers are on this flight, some for business and others for pleasure. Crystal Sykes and her best friend Hannah are two of the many passengers, more than ready to start their little vacation in the exciting city. Everything seems to go just fine, until a loud bang erupts from outside the plane, causing the flying vehicle to shake and alarm the passengers. Will they arrive at their destination unharmed? Kellianne Soto is a 17-year-old girl who just finished the academy for becoming a professional maid, like all of the women in her family did before her. She gets hired by the very rich, successful and busy couple: Vivian Fuentes and Victor Fuentes senior. While their youngest son Mike is away at college, their oldest son Vic still resides in the Fuentes residence. However, no one seems to talk about Vic's existence. And it's not until Kellianne's curiosity takes the best of her, that she finally sneaks into the one room in the house that she is not supposed to enter, only to find something shocking. Chelsea begins her third year of college, but due to a prior incident, a lot changes on campus and all of the dorms get mixed up. Chelsea finds herself having to share her room with none other than Vic Fuentes and his quiet friend Tony Perry. She really isn't looking forward to this, but maybe, just maybe, it could have its perks? Most characters will be band members, so just forget about their real age and whatnot, it doesn't apply here. This is the promised sequel for Class Dismissed so if you haven't read that, go do that first. Chelsea could not have been happier with how her life had turned out... She's graduated from college, she's part of a now stable family, she has close friends, the best boyfriend, and she's carrying his twins too. For lack of a better word, Chelsea thinks her life is perfect. Her relationship is perfect. But is it strong enough to withstand the events that the future holds for her and Vic? 14 years ago, Vic Fuentes thought he wasn't quick enough to stop the "love of his life" from aborting his child, so for fourteen years, he wondered how his life would be If his child had lived. But what happens if a phone call changes everything? Is he ready for his imagination to become reality? Disclaimer: I do not own Pierce the Veil or any part of them. Although, I wish I did.